Melanie said it best over @ Mel in the attic with her Aerial quilt finish. This quilt represents so many great memories of one short weekend. As mentioned in my summary of Sew Down Nashville, one of my favorite activities was Carolyn Friedlander‘s paper piecing class using her mini aerial quilt. Everyone’s quilt reflects their own personality, and it is so much fun seeing some of them being finished now. Well good news, I managed to finish my top today. All the blocks are made with various prints from Lotta Jansdotter Echo, Bella, Glimma, Mormor and Sylvia lines. The border is black yarn dyed essex linen. This entry was posted in Uncategorized and tagged Aerial Quilt, Carolyn Friedlander, Lotta Jansdotter, quilt, Sew down Nashville on May 2, 2014 by mlwilkie. Looks great! I love the pop of warmth. Can’t wait to see the quilting. And thanks for the link love. Love the composition of the quilt top! 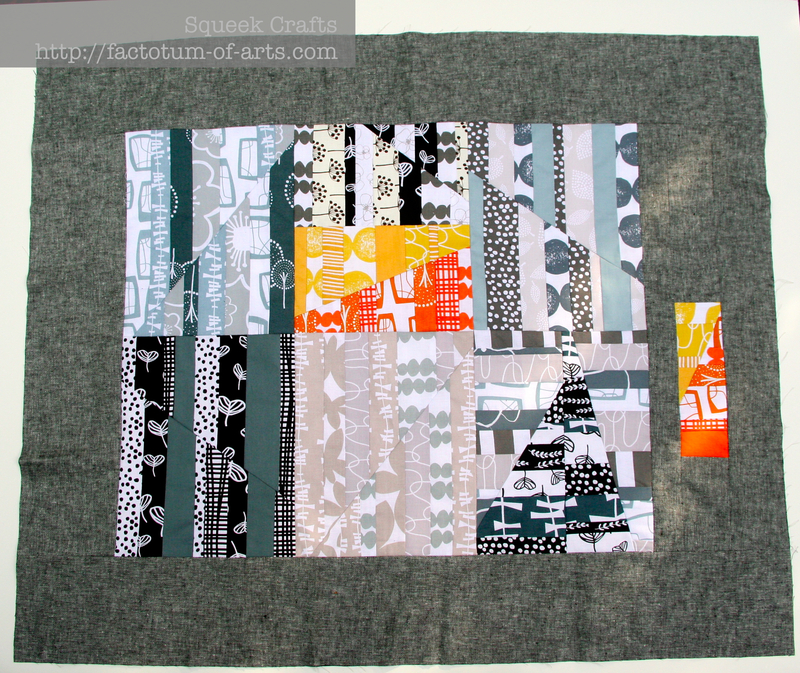 Leah Day has a tutorial in her FMQ Project called “H20”. It’s supposed to be water molecules but it reminds me of the first crop circle you posted! 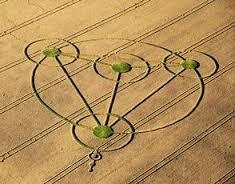 I like the crop circle idea – neat and creative thought for finishing this. It turned out great! Can’t wait to see how your crop circle quilting turns out! Fabulous. Really really fabulous. I love your colour choices. Such a cool set of fabrics – the addition of the Essex black linen is perfect. 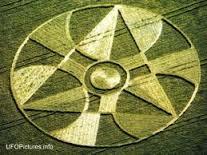 I really want to hear how the crop circle quilting goes. I like the idea a lot! I love this!!!!!! ( of course!) also love the drop circle concept! Love the crop circles quilting idea!